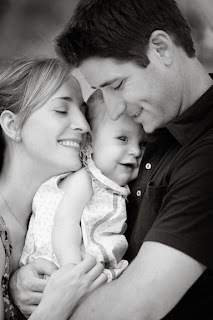 During the week of Gwendolyn's first birthday we had photos taken by Emily Hart-Roberts. Emily is kind and sensitive and a very talented photographer. She also works with the organization Now I Lay Me Down to Sleep, a non-profit that provides photographs to families of critically ill or stillborn babies. What a wonderful charity. We are so glad we have these beautiful photos capturing this important milestone and will cherish them forever. Thank you so much Emily.